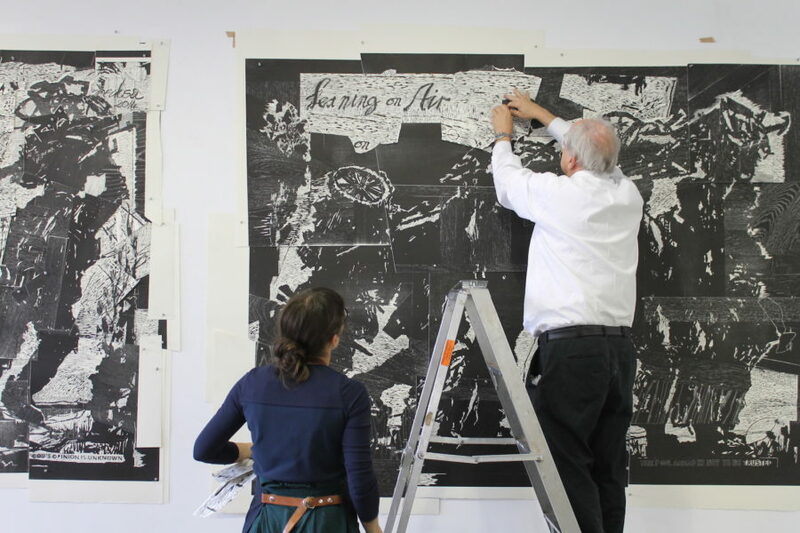 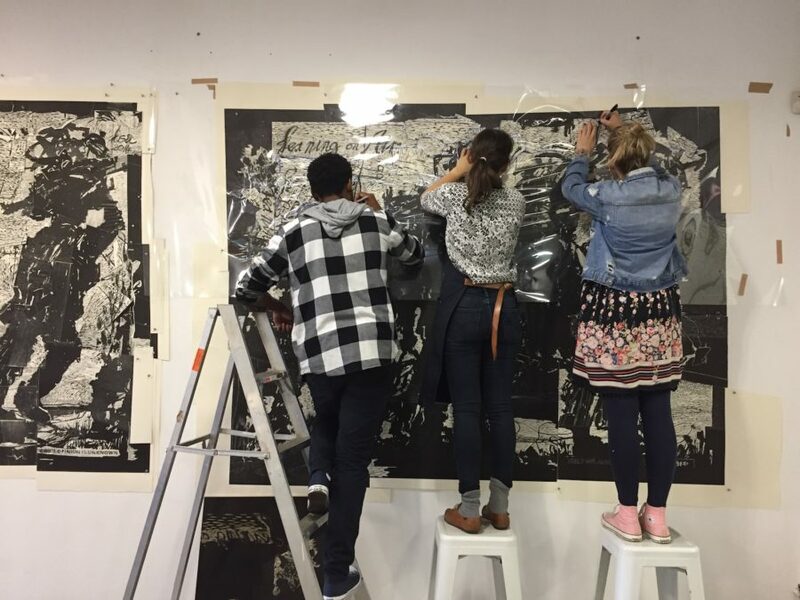 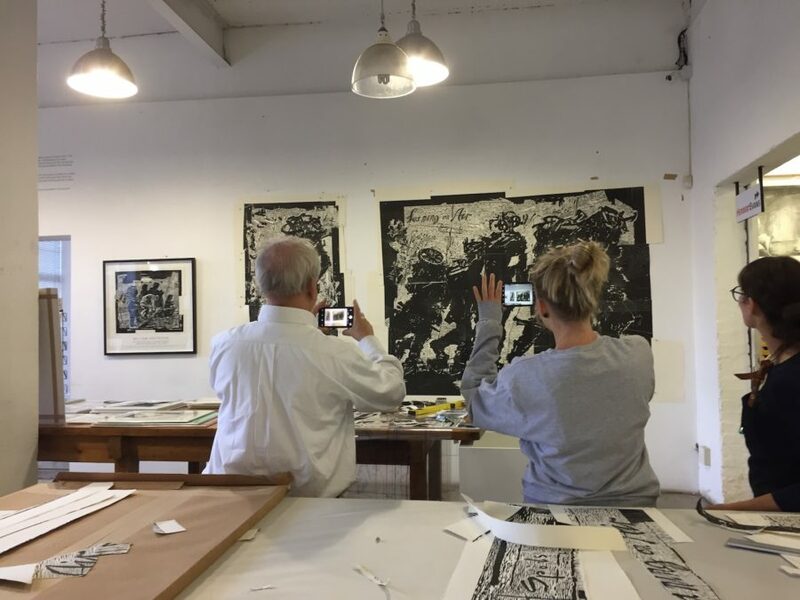 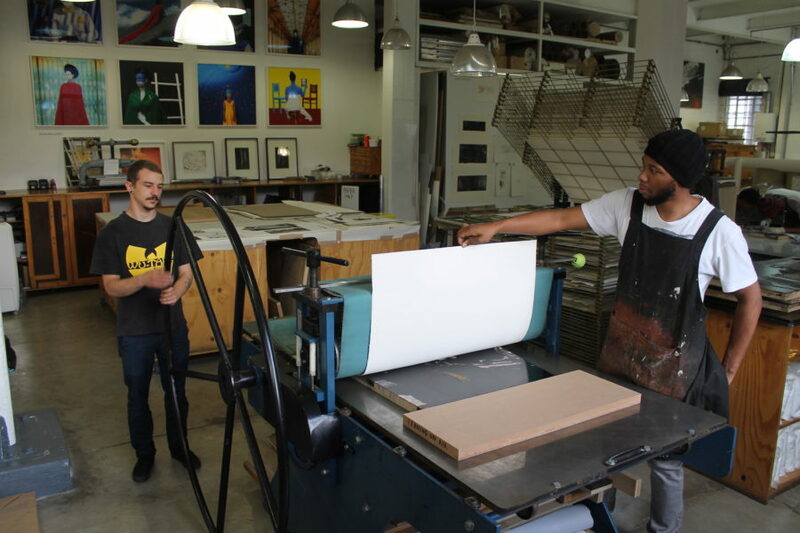 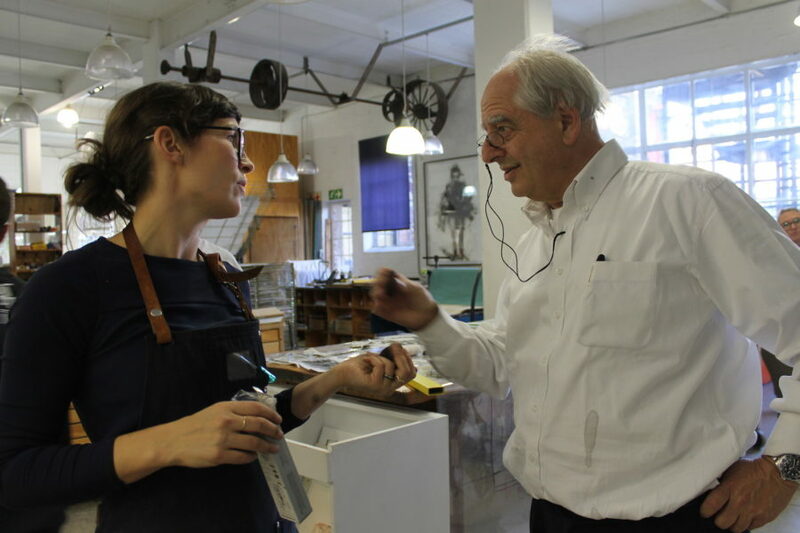 William Kentridge was in the workshop this week to add to the second part of the large-scale woodcut Leaning on Air. 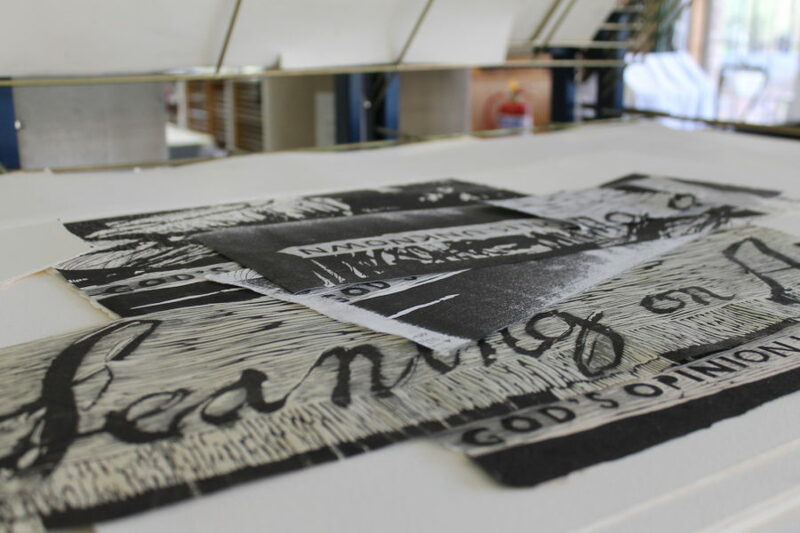 He has been tearing and pinning pieces onto the print to indicate carving and where to place torn collage pieces. 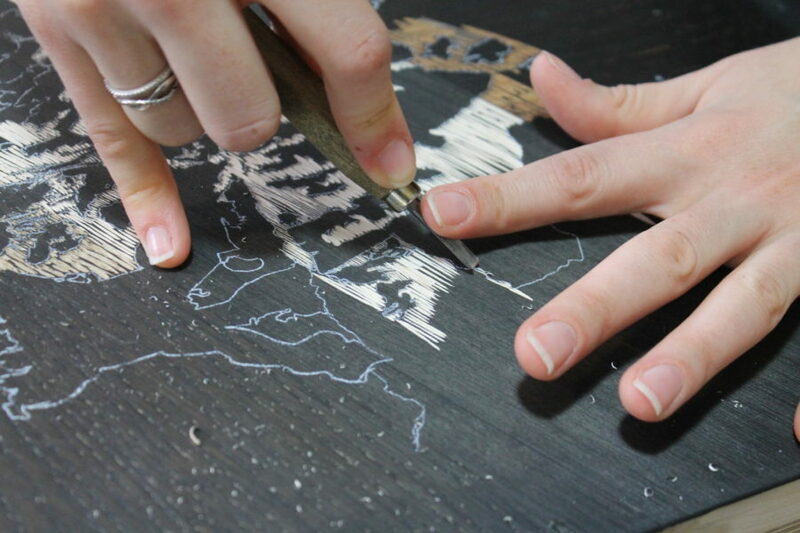 The team is now busy tracing these indicated areas, carving and proofing them. 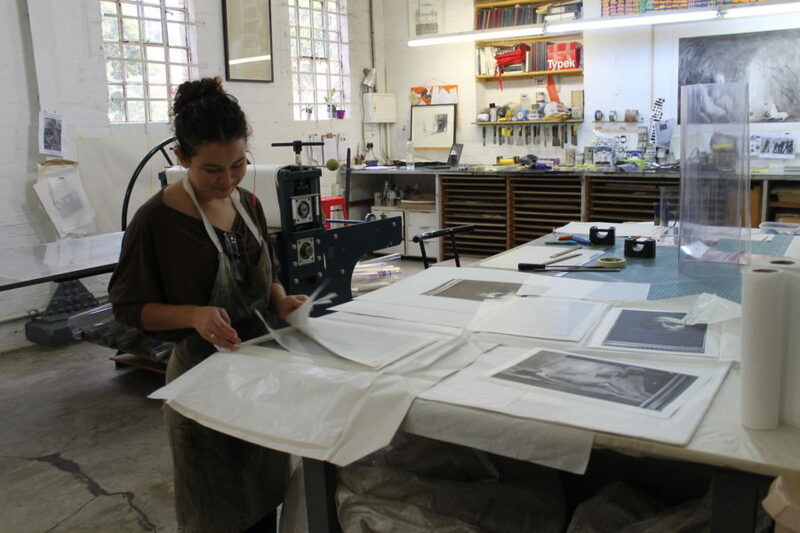 Jillian Ross and Roxy Kaczmarek are busy working on the booklet and assembly manual to accompany the work. 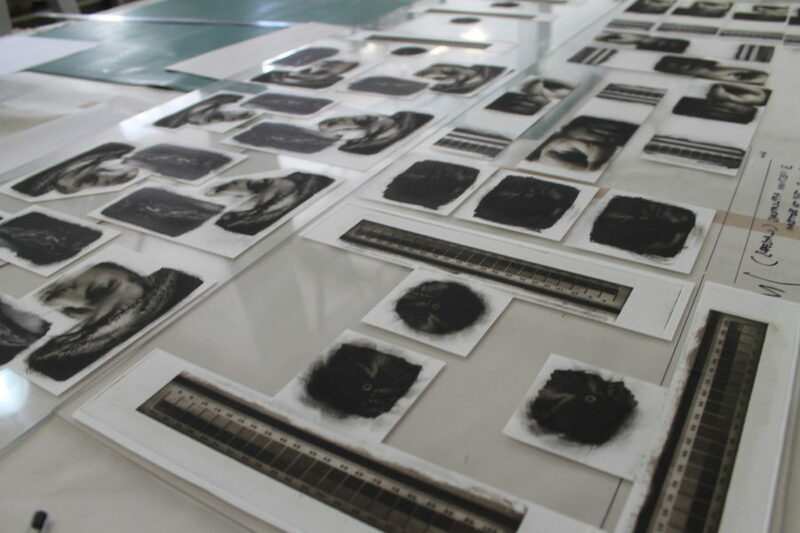 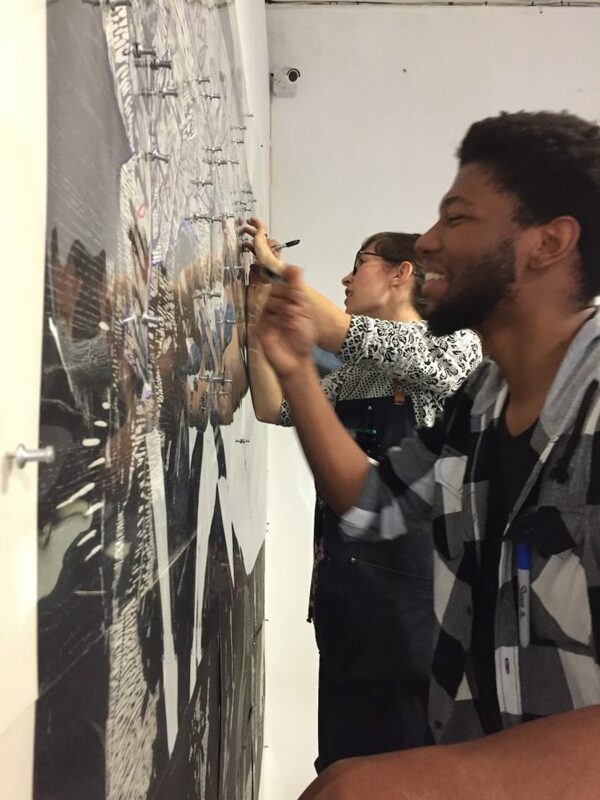 Printer Kim-Lee Loggenberg (pictured below), Jillian Ross and Roxy Kaczmarek are working on prints in collaboration with artist Mikhael Subotzky for his upcoming solo show. 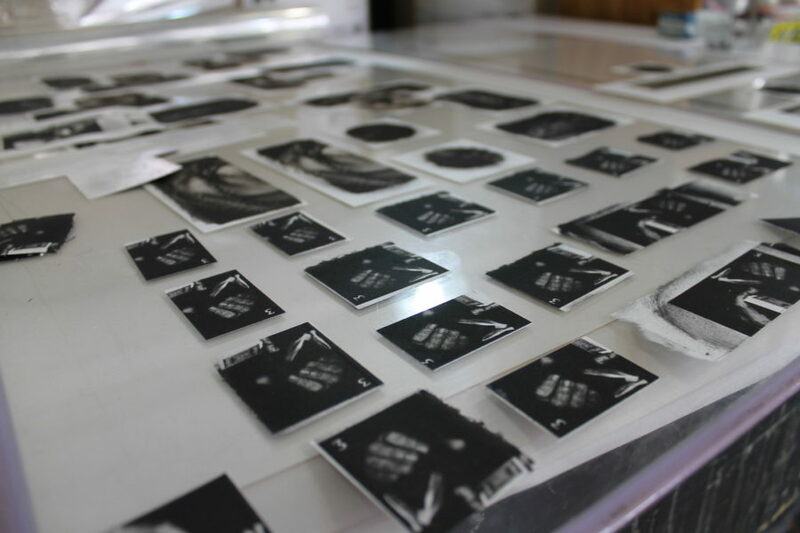 The pieces have had glue applied to them and will be cut out and adhered to a larger sheet of paper.